In 1986, HIRASE Sakugoro found sperm of Ginkgo biloba and this discovery filled a missing lynk in evolution of plants. A century later Japanese botaists realized to observe whole process of reproductive sceans in moving images using carefully treated living specimens starting premitive unicelluar algae Mesostigma to Angiosperms, Torenia. This video introduces some the first ever captured shots in video timelapse: How female Gingko tree capture the polen. Growth of Gingko sperm inside the polen tube. Full process of doubled fertilization in Torenia. The price for individual users USD250 and institutional users USD500. 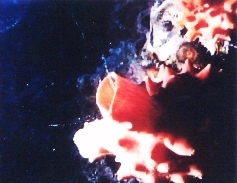 Sponges, previously classified as Parazoa, which demonstrate characteristics of unicellular organisms, are now shown to have some features of true metazoans. Uses time-lapse photography to show sponges’ water purifying function, how their cells aggregate in a multicellular form because dissociated sponge cells cannot survive individually, and how sponges can distinguish themselves from others. Shows examples from Ephydatia fluviatilis.. Prod. 1996 color. 28 min. Complete life cycle of the common jellyfish, Aurelia aurita.was recorded by time-lapse in 16mm color film. Studies the structure and function of microtubules highlighting the distinction between muscle movement and movement apparent in microtubules. Shows flagellar and ciliary movement in protozoa and higher organisms, e.g. chlamydomonas, paramoecia, euglena, mytilus. Experiments with methylene blue are shown as evidence of ATP synthesis and action. Electron micrographs and models are used to demonstrate the structure of microtubules. 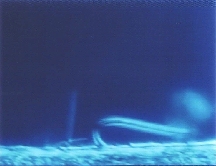 Experiments on individual flagellae are shown with ATP being applied to certain portions of flagellae; the results are shown in slow motion. 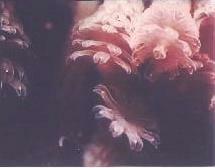 Axopodia are shown in heliozoans with illustration of their operation and function. Prod. 1979. color. 26 min. Uses research film footage shot in laboratories by eminent specialists involved in cell motility studies. Opens with a brief summary of muscle movement and the roles of proteins actin and myosin. Creatures without muscles are examined ? Amoeba proteus, Pelomyxa, algal cells from the Characeae group such as Nitella and Chara. The slime mould Physarum polycephalum is also examined. Experiments on protoplasmic streaming are shown as well as evidence for the role of microfilaments in motility. Shows the life cycle of the sea squirt Halocynthia roretzi. Halocynthia adults from Mutzu Bay in Northern Japan are shown to spawn at a certain time of the day and differences in spawning time have been used to define three sub-species. 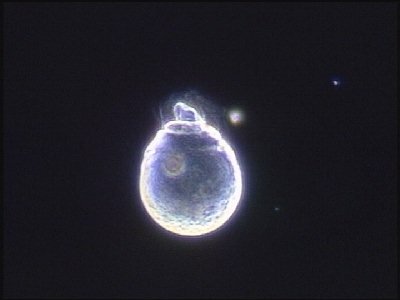 Shows in great detail the fertilization and development of an egg through to the larval form. Metamorphosis follows and development is shown up to maturity and the adult form. The importance of this group for developmental biologists is in the larval stage where the animal develops a notochord and a swimming tail. In Japan Halocynthia is farmed for food, and sequences in the film show fishermen harvesting the adult animals. Prod. 1982. color. 23 min. 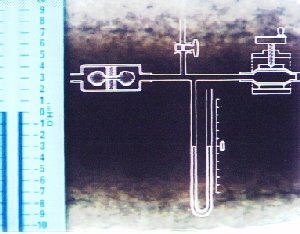 This is the first our experience of shooting by HDTV fo micrography. Prices except new Ginkgo video: US$200.oo per video copy for individual users and US$400.oo for Institutional users who provide lending services in VHS. Other TokyoCinema products are also available in video, however many TV programs are not for foreign audiences and Japanese narrations only. Video copies of pictures produced by old Tokyo Cinema Co., Inc. is also available. There are certain titles which already transferred to Betacam SP video, much easier to make a VHS cassette, however those are 30% of the products. Theoretically all of the listed titles in this home page are available, however we must transfer the video copy from 35mm original negatives.